Baking shows like Ace of Cakes and Cake Boss have really made an impact on the world of designer cakes over the last few years. 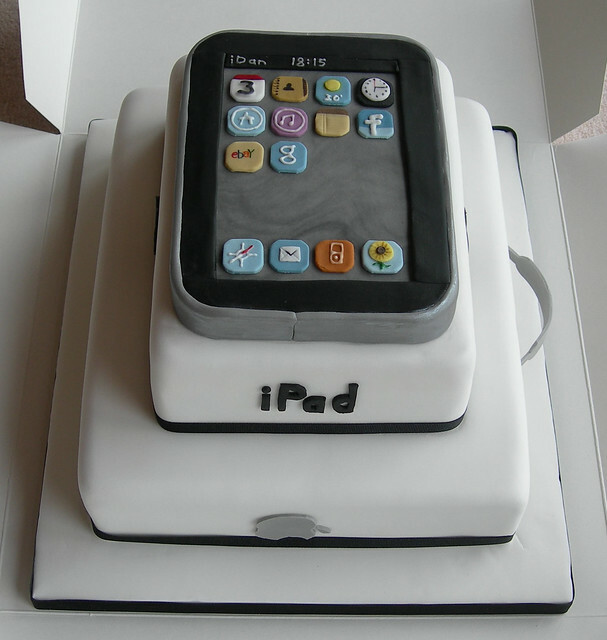 Those specially trained chefs can take any picture and turn it into an art piece in the form of cake. So why not try and make some Apple replicas? Forget the store bought icing, these cakes take decorating to a whole new level. This is an iPad on top of an iPad box on top of a Macbook. Whoa. These people are serious about detail on this Macbook cake. Remember these? iMac G3 in all colors!